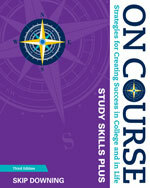 On Course: Strategies for Creating Success in College and in Life (Wadsworth/Cengage) is the #1 student success/FYE text in North America, offering a hands-on approach for learning essential life and study skills. 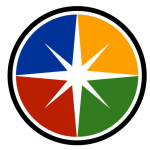 Now in its 8th edition, On Course is used each year by more than 100,000 students in student success courses, first-year experience programs, and inward-looking courses that promote student growth and self-awareness. The Study Skills Plus Edition is now in its 3rd edition. Because of the unique journaling component, both editions of the text are also used in developmental and credit-level composition courses. View impressive data from On Course PROGRAMS. 8th edition Both versions of the text provide extensive coverage of all eight On Course empowerment skills: Self-Responsibility, Self-Motivation, Self-Management, Interdependence, Self-Awareness, Lifelong Learning, Emotional Intelligence and Believing in Oneself. Thirty-two short articles introduce students to these essential inner qualities; related guided journal entries offer students an opportunity to apply these skills to their own lives. Pre- and post-course self-assessments allow students to gauge their progress in developing these non-cognitive skills. Both versions of the text also offer extensive coverage of study skills, featuring the unique CORE Learning System that helps students employ active engagement to deepen their learning and improve grades. This section also offers a pre- and post-course self-assessment that informs students which study skills they have mastered and which still need improvement. Both versions of the text offer numerous additional features that make On Course a favorite with instructors and students alike, including case studies that engage students in the kind of challenges they will face in college, essays on applying On Course skills in the workplace, Tech Tips that identify web sites and apps helpful to students, and 29 “One Student’s Story” essays where students read how their peers have used On Course strategies to dramatically improve their success in college…and beyond. 3rd edition If your students need extensive help with learning skills, consider the Study Skills Plus edition. This version of On Course has everything mentioned above, plus 80 additional pages devoted to research-based active learning strategies. Not only does the Study Skills Plus version offer your students more learning strategies, it also provides many additional examples to illustrate their use as well as further activities for practice and reinforcement. And here’s the good news: all of this additional content costs students no more than the regular 8th edition. So, if your students need a unique and comprehensive approach to study skills–one that will engage them at a very high level–request an exam copy of the Study Skills Plus edition of On Course. What makes On Course so effective? 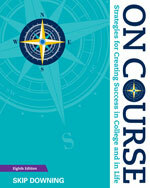 To request an EXAMINATION COPY of either or both editions of On Course, contact your college’s Cengage publisher’s Learning Consultant, whose contact information can be found HERE. Be sure to also ask for a copy of the On Course Facilitator’s Manual, which is packed with activities for creating an engaging learner-centered classroom. To request the ON COURSE SYLLABUS COLLECTION, send an email to workshop@oncourseworkshop.com (be sure to say what you’re requesting). Note: Because the Syllabus Collection contains approximately 100 syllabi from among the 500+ colleges and universities that offer an On Course class, this file takes a while to download. Winning essays are published in the On Course text, and student authors receive a $100 prize. I am so impressed with how well thought out and integrated every aspect of the workshop is!